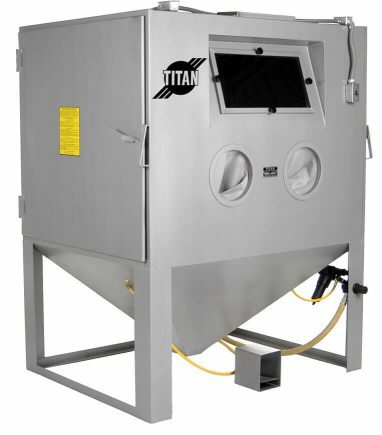 All Titan blast cabinets (also referred to as “sandblast booths”) are manufactured using 12 gauge steel and come standard with cartridge dust collectors, tunable reclaimer, and our heavy-duty cast iron media regulator. These long-wearing valves, trusted throughout the industry for decades, deliver consistent flow without clogging. Whether you order a Pressure Blast Cabinet or a Suction Blast Cabinet, you’re assured of highest quality craftsmanship and years of rugged use. 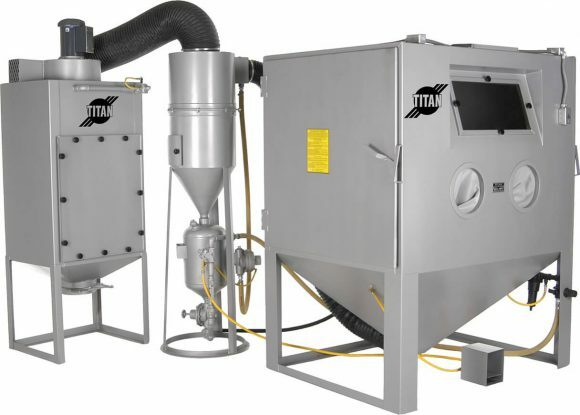 Higher abrasive velocity for greater impact intensity and 5x the speed of Suction Cabinets. For medium duty industrial applications.